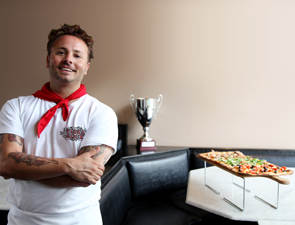 Pizza Rock, with executive chef 11-time World Pizza Champion Tony Gemignani, openned its newest location in Downtown Las Vegas on Saturday, October 19. Located in the newly renovated Downtown 3rd district, Pizza Rock is looking forward to bringing its rocking’ vibe and award-winning food to the re-energized downtown food and nightlife scene. Most famous for its Napoletana, Pizza Rock Las Vegas will offer a variety of Gemignani’s award-winning pizzas, including World Pizza Cup Winner, the Margherita (San Marzano tomatoes, mozzarella, fior di latte, basil, extra virgin olive oil and sea salt), along with nine other pizza varieties including Roman, California, American Originals, Classic Italian, New York/New Haven, Sicilian, Chicago Cracker Thin, New York 22-inch and Gluten Free. Other signature pizzas include the classic Italian-style Cal Italia which won the Gold Medal in Food Network Pizza Champions Challenge (asiago, mozzarella, imported gorgonzola, sweet fig preserve, prosciutto di parma, parmigiano-reggiano and balsamic reduction), and the Gold Cup winning Sicilian-style La Regina (soppresatta picante, proscuitto de parma, mozzarella, provoke, parmaigiano, pave and arugula), just to name a few. Utilizing fresh ingredients to create a sensational menu, guests can also indulge in a selection of antipasti, salad, deep-fried or baked calzones, Stromboli, freshly made pasta, as well as Sicilian and Calabrese link sausages, burgers and sandwiches. To compliment the dining experience, Pizza Rock will offer a full bar featuring hand-crafted artisan cocktails, an extensive draft and bottled beer list and a collection of wines with a focus on California and Italy. Located at 201 N. Third Street at Ogden, Pizza Rock is open Sunday-Thursday from 11:00am to midnight and Friday-Saturday from 11:00am to 4am. Parking validation will be available for complimentary parking at the adjacent Ogden/Third parking garage. For reservations, call (702) 385-0838 or visit www.pizzarocklasvegas.com for more information. Roederer CEO Frederic Rouzaud Sat., Oct. 26 at 6:30 p.m. The next culinary adventure in Bellagio’s Epicurean Epicenter series offers guests the opportunity to enjoy a once-in-a-lifetime menu paired with the finest wine. On Saturday, Oct. 26 at 6:30 p.m., Le Cirque Executive Chef Paul Lee will present five courses of the renowned restaurant’s signature culinary masterpieces complemented by four vintages of Louis Roederer’s Cristal as well as Chateau Pichon Longueville Comtesse de Lalande. 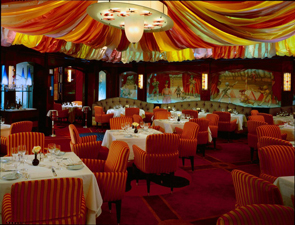 Joining Lee, Bellagio Director of Wine and Master Sommelier Jason Smith, Louis Roederer CEO Frederic Rouzaud and Maccioni Restaurant Group Co-Owner and Vice President Marco Maccioni will guide diners through each carefully selected pairing in Le Cirque’s vibrant dining room. Tickets priced at $325 per person, all-inclusive, are available for purchase online at Bellagio’s Epicurean Epicenter webpage or by calling Bellagio Concierge at 866-406-7117. The evening will begin with a decadent Foie Gras Crème Brulee amuse bouche paired with a glass of Louis Roederer’s sparkling Cristal 2004, created to awaken and excite the palate. The first course, L’Oursin de Santa Barbara, features the finest offerings from the sea such as Santa Barbara sea urchin with yuzu gelée, panna cotta, fennel cream, Osetra caviar seaweed and sesame tuile. All selections are served with Louis Roederer’s Cristal 2002, a delicate wine that combines the flavors of sugared flowers, cocoa, toasted hazelnuts and candied fruits. The second course, Les Langoustines, is a pristine combination of roasted New Zealand langoustines, Jamón Ibérico, asparagus, parmesan, petite mustard greens with citrus sabayon (a frothy unsweetened sauce made with Champagne) and jus de veau, or veal stock. This classic Le Cirque dish will be joined by Louis Roederer’s Cristal 1996, a lively and effervescent wine with prominent red fruit flavors. The meal continues with Le Turbot d’Atlantique, wild Atlantic turbot with baby leeks, braised celery, artichokes, rutabaga and vitelotte potato topped with a tangy barigoule sauce and enjoyed with Louis Roederer’s Cristal 1993, a clean and balanced glass of bubbly. The meat course, L’Entrecote de Boeuf Wagyu Australien, consists of Australian Wagyu beef rib-eye, pommes diamond and black trumpets in an expertly prepared traditional French bordelaise sauce served with a glass of the elegantly subtle Chateau Pichon Lalande, Pauillac 2000. The dessert course is a grand finale to the impressive meal with selections including praline mousse, creamy white chocolate ice cream, hazelnut caramel crunch and chocolate sauce paired with Ramos Pinto 20 Year Tawny Port. 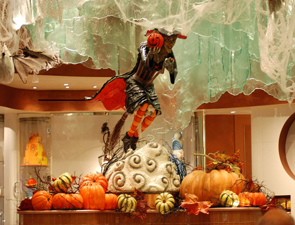 Halloween has officially flown in on its broomstick and landed at Bellagio Resort & Casino where Jean Philippe Pâtisserie has transformed into a haunting shop filled with festive chocolate creations. The holiday display’s focal point features a life-size witch sculpture that took approximately six weeks to design and build. Five pastry team members collaborated to create the intricate flying design with 250 pounds of chocolate and rolling fondant, an icing-like decorative ingredient. Aside from the witch, Jean Philippe Pâtisserie’s display incorporates smaller showpieces including a watchful raven perched on a tree branch, a shockingly sweet skeleton sitting in an electric chair and a haunted tree with peering skulls. All signature creations were made using dark, milk and white chocolate, colorful fondant and more. In addition, specialty Halloween chocolates are available for purchase in-store at Bellagio and ARIA locations as well as online at www.jpchocolates.com. These smaller sweets include chocolate skulls, ghosts, black cats, pumpkins, and witches. Jean Philippe Pâtisserie also offers an assortment of French favorites including crêpes, pastries, chocolates and gelatos as well as a wide variety of retail selections and custom cakes. Omni Hotels & Resorts announced a culinary partnership with renowned Dallas-based chef, Nick Badovinus. Through this collaboration, Badovinus will lend his expertise in freestanding dining concepts to further infuse regional and national trends with local flavors for Omni’s hotel and resort restaurants and initiatives. Omni has an exceptional culinary reputation and is ranked by J.D. Power as #1 in guest satisfaction for the food and beverage category. Badovinus will enhance this distinction with his knack for flavor profiling and spotting trends. His first initiative for the brand begins with menu consultation for Kitchen Notes, the music city-inspired Southern cooking restaurant opening on September 30, in the new Omni Nashville Hotel. 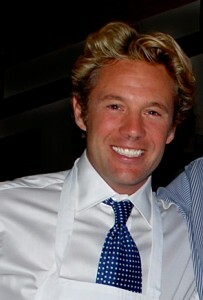 He will also work with Chef Cheryl Forberg, Omni’s brand nutritionist, to create a new Omni Kids menu. Omni’s award-winning programs include Flavors of the World, Homegrown Cocktails and The Art of Breakfast, and popular signature restaurants such as Bob’s Steak & Chop House, 676 in Chicago and The Rib Room in New Orleans. Badovinus will consult with the brand as its culinary offerings grow with a number of new hotel projects. For additional information or to book accommodations, guests may visit omnihotels.com or call 1-800-The-Omni. Travelers or media can also follow Omni at Facebook.com/OmniHotels or Twitter.com/OmniHotels.